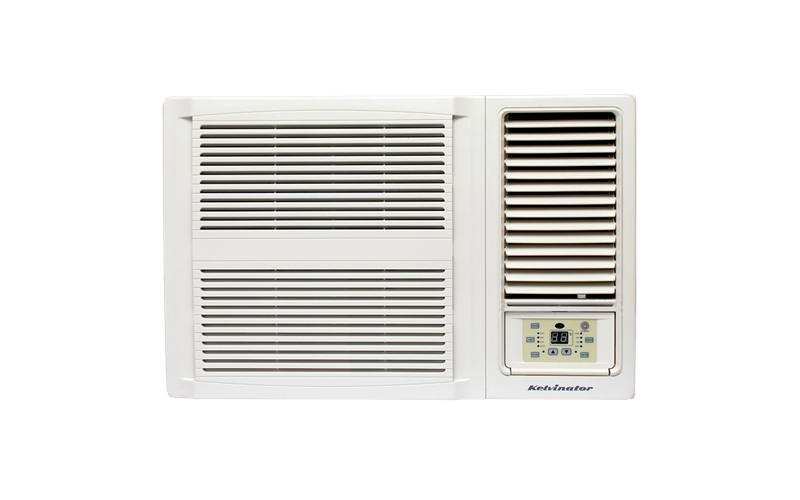 Window Wall Reverse Cycle Air Conditioner 6kW is rated 4.0 out of 5 by 21. Rated 3 out of 5 by GeeCee from Not sure yet... Bought a couple of months ago. I had a smaller LG r/c before and it was fairly serviceable for the job. Whilst more powerful and it does warm the area well - this one has a some quite annoying issues. The fan is extremely noisy and too breezy in a smallish area even on its lowest setting. It should have one lower fan setting. Worse than that - the weather has been quite cold but the system cuts out quite a lot and/or blows cold air. I often have to unplug to reboot. As I said - annoying. The up and down vents tend not to stay in place if the fan is blowing too hard. I will continue to monitor. My main hope is that it handles the very hot summers. Rated 4 out of 5 by BecM from Great quality for a window/wall unit We have a large lounge/dining/kitchen area and it cools the area very well. Rated 4 out of 5 by GPar from Great air conditioner This unit replaced an 18 year old unit, so we are pleased with the performance, so far. I have a concern with the build quality. The refrigerant servicing pipe seems to not have been sealed correctly. The normal procedure is to pinch and then solder the pipe. This ensures it is gas tight. This unit has been pinched only. When this was reported to the manufacturer's agent, the comment from the technical people was that if there was going to be a problem, it would have occurred by now. My concern is that if there is a slow refrigerant leak, the problem will only become apparent, after the warranty has expired. Rated 4 out of 5 by Kez1328 from Great System I bought this a few weeks ago and am very happy with it. Easy to use, cools quickly and is a lot quieter than expected. Rated 4 out of 5 by 1154 from Great features I bought this to replace the old unit that died, it has done an amazing job on the hot days. The fact that it has a timer, makes life amazing now. My only negative will be the low stars on my electricity bill, but it is what it is and it is the most practical way for us to keep cool. Rated 5 out of 5 by crw66 from Excellent product Quality product and a great price. More than capable of cooling a small home or area. Rated 5 out of 5 by Ruthie from Fantastic What a great air conditioner. We have a large living space and this unit cools and warms to perfection. Rated 3 out of 5 by CaptureMike from Noisy but does the job Bought this 6kW box instead of a Split System for installation reasons. It's much noisier than expected and the fan never shuts off even when it reaches set temp. So if you want to hear your TV you have to cool the room then turn it off until it gets hot again and switch on again. Wish it would auto shut off and come back on when needed. Also the plug didn't fit in the wall so needed to have electrician install 15amp power socket on the wall which cost another ~$100.